HyeFighter MMA fighter Hracho Darpinyan beats Shaun Lomas from Liverpool at the THE BATLE OF WORMER, in Wormer Holland via rear naked choke at the 1:10 mark of round 2, improving his record to 7 Wins. 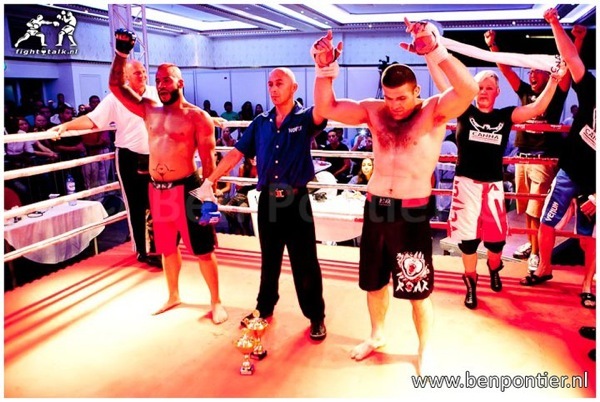 HyeFighter Hrach Darpinyan gets back on the wining track by beating Santana Ou in Holland at the BoW 9 – Battle of Wormer event on October 9th. Darpinyan stopped his opponent in the 2nd round via TKO. Hrach Darpinyan is a student of Dutch MMA legend Bob Schreiber and is well known for his brute strength and tremendous stamina. He is a Light Heavyweight fighter from Armenia who currently lives in Amsterdam and has an MMA record of 5 wins and 2 losses.